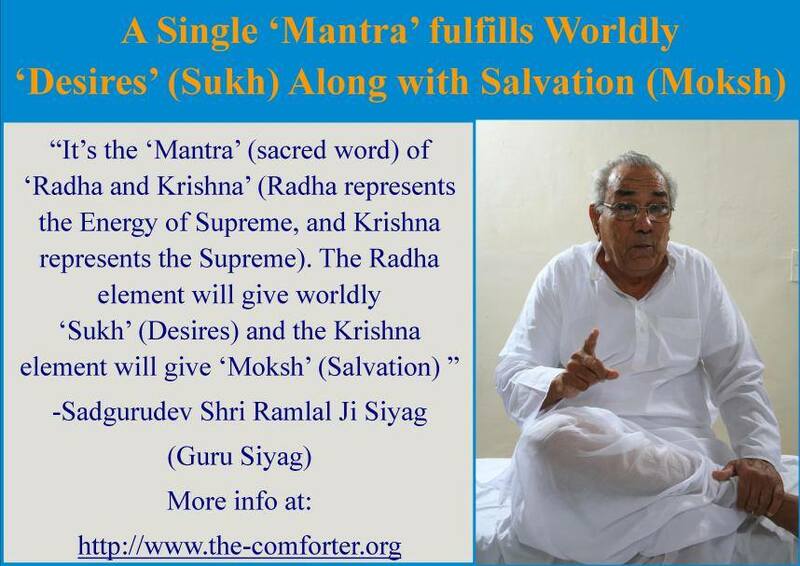 Guru Siyag's Siddha Yoga - For those who prefer complete wellness without any supplements!! 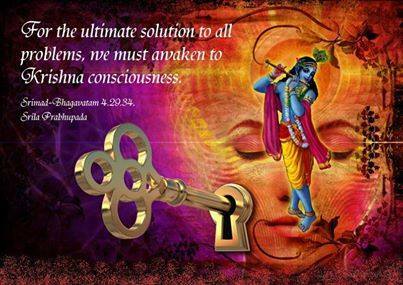 Guru Siyag's Siddha Yoga is an easy-to-do meditation and chanting based yoga. Siddha Yoga seeks to take practitioners to the pinnacle of evolution and ultimately bring about the Divine Transformation of all mankind. In this process the practitioner is freed from all kinds of physical diseases, mental afflictions, stress and any kind of addiction. 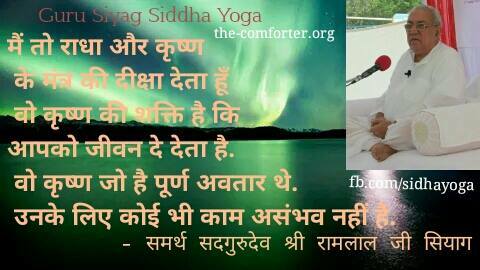 Guru Siyag's Siddha Yoga is always free of charge. 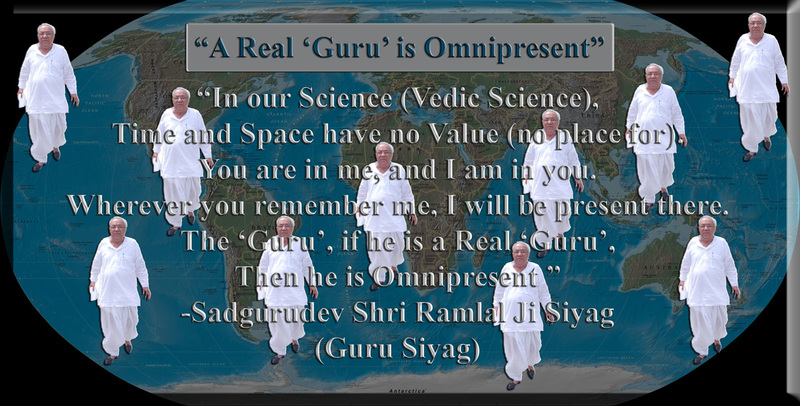 Look at Guru Siyag's picture for a minute or two until you remember the image. 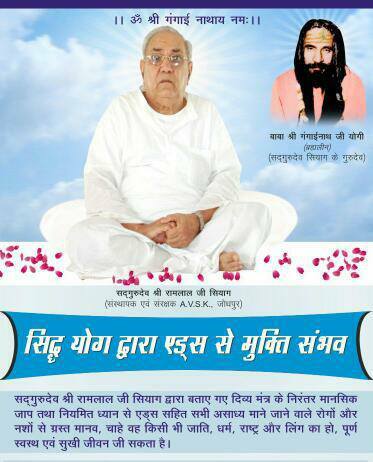 Then close your eyes and say silently to Guru Siyag, "Help me meditate for 15 minutes." You can choose a time-limit according to your convenience, for eg., 5 / 10 /12 /… minutes. Then, with your eyes still closed, think of Guru Siyag's image at the place between your eyebrows (also known as the third eye). This means that you have to try to imagine Guru Siyag's picture in your mind. 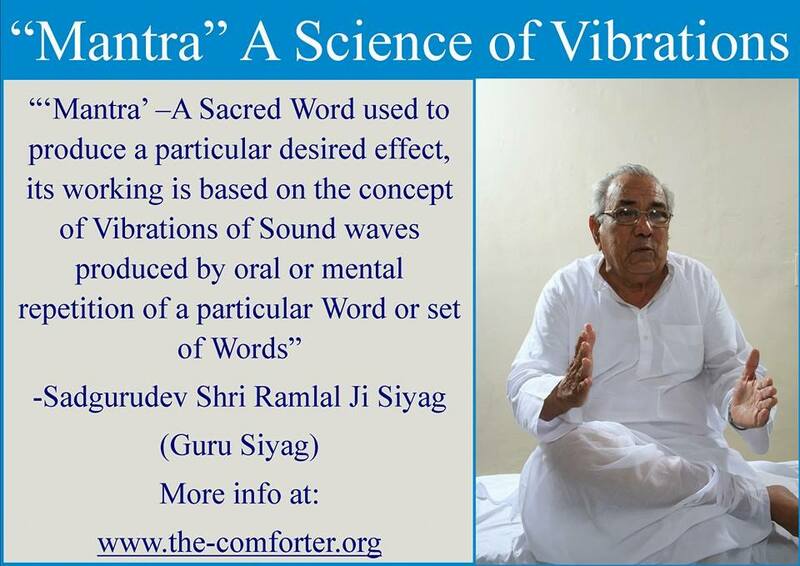 While thinking of the image, repeat silently (Chant) for 15 minutes the mantra given by Guru Siyag. 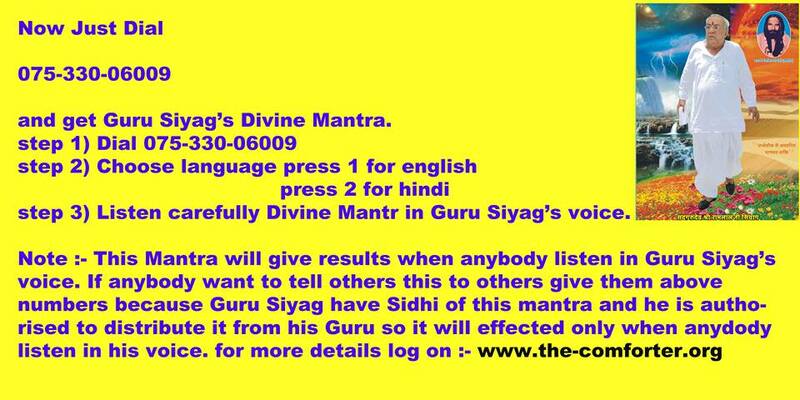 To receive the mantra call on 07533006009 mobile no or go to the section "How to Get Mantra". During meditation, you may experience certain automatic yogic postures or movement of your limbs. Swaying, nodding of head, rapid movement of head from left-to-right or vice versa, inflating or deflating of belly, clapping, grunting, moaning or laughing can happen in many cases. Do not panic or worry. These actions, happen involuntarily, are ordained by divine force, and they are needed for your internal cleansing and readying you for further progress. You may also experience vibrations, see bright lights, colors or even have visions or revelations of the past and future events. These are indications that you are progressing well on the spiritual path. However, if you do not experience any yogic postures or see visions, it does not mean that are not making progress. In all probability, the divine force awakened in you has perhaps decided that you don't need these experiences. Go to the "FAQ" section to read more on this topic..
You will notice that your meditation will come to an end exactly when you reach the time limit you had set prior to starting meditation. Facing any direction East, west, south, north etc.